What truly sets Pacific Design & Integration apart from the competition are the strategic alliances we have created. PDI’s core competency is providing the highest caliber Engineering Design Services and Project Management. Although PDI manages projects from the first stages of conceptual design through final project sign off, our customers benefit from the strategic alliances we have formed with three industry leaders. These strategic relationships allow PDI to meet our clients needs in a comprehensive and agile fashion. Viper Cabling Inc. is the premiere wiring & installation company in the industry. PDI and our customers benefit from this strategic partnership by having the highest quality for installation and wiring provided at a value that is unmatched by our competitors. Orbdot Networking is the newest of our strategic partners. Orbdot brings extensive experience in businesses and office IT solutions as well as extensive the broadcast video and streaming video IT environments. PDI is proud to be a Lenovo partner and reseller. Contact us with your Lenovo system needs. Video Tape Products provided a strategic purchasing partner for PDI. VTP is one of the most respected broadcast equipment resellers in the country and their purchasing power will benefit PDI and our customers by lowering our cost on equipment and creating a tremendous value added benefit translating in to substantial savings for our customers. PDI will oversee the creation of, and fulfillment for the Bill of Materials (BOM) from each project while VTP will negotiate pricing and manage procurement. Cinegy represents a great value in production work flow, simple yet sophisticated. Cinegy offers an easy on ramp to an IT based work flow. 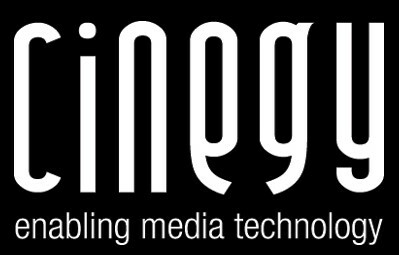 PDI is proud to represent Cinegy solutions. Tectonic Plates employ fundamentally different Resonant Mode Loudspeaker technology to provide the next generation of mid to large format sound reinforcement loudspeaker systems. PDI is proud to be an integrator & dealer for these advanced technology speaker solutions.